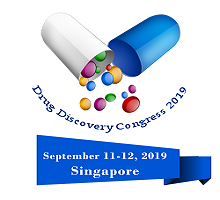 Conference Series LLC Ltd is delighted to invite you to attend the World Congress on Drug Discovery and Drug Design, one of its remarkable Pharmaceutical conferences, to be held during September 11-12, 2019 in Singapore emphasizing on recent areas of more optimized research techniques like rational and computer aided drug designing for the Discovery, Designing and Development of new drugs than by traditional hit and trial method. This Drug Discovery Congress 2019 Conference includes a wide range of Keynote presentations, Oral talks, Poster presentations, Symposia, Workshops, Exhibitions and Career development programs. Drug design is an inventive process of medication discovered by biological target. It is also known as rational drug design or rational design. The drug is most commonly an organic small molecule that activates or inhibits the function of a biomolecule such as a protein, which in turn results in a therapeutic benefit to the patient. In the most basic sense. Drug design relies on the knowledge of the three-dimensional structure of bimolecular targets. The drug is an organic molecule, when it is predicament to target site it can either inhibit or activate the function of a biomolecule which effects in therapeutic benefit. 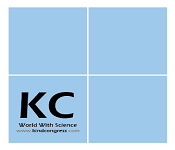 5th World Congress on Natural Products, Medicinal Plants and Traditional Medicines November 5-6, 2018 at Singapore; 13 th World Congress on Pharmacology and Toxicology November 14-15, 2018 Melbourne, Australia; 6 th International Conference and Exhibition on Pharmacognosy, Phytochemistry & Natural Products December 03-04, 2018 Bangkok, Thailand; 20th Asia-Pacific Pharma Congress April 22-24, 2019 Tokyo, Japan; 28th European Congress on Clinical Microbiology Conference during April 21- 24 2018 at Madrid, Spain; 53rd American Society of Health Clinical Meeting and Exhibition, December 02-06 2018 at Anaheim, USA; 2nd Clinical Trial Financial Management Summit during April 05-06 2018, at Philadelphia, USA; Congress on Drug Discovery and Therapy, July 09-12, 2018 at Boston, USA. Drug Information Association, Kuwait Pharmaceutical Association, Malaysian Pharmaceutical Society, Maryland Pharmacists Association (MPhA), Pharmaceutical Society of Australia, The Pharmacy Guild of Australia, The Society of Hospital Pharmacists of Australia, Chinese Pharmaceutical Association, American Association of Colleges of Pharmacy (AACP), American Pharmacists Association (APhA), American Society for Pharmacy Law American Society of Consultant Pharmacists (ASCP),European Association of Employed Community Pharmacists in Europe (EPhEU), European Pharmaceutical Union (EPU), Pharmaceutical Group of the European Union (PGEU), Norwegian Pharmacy Association. Pharmacovigilance is that branch of pharmacology that focuses on analysis, detection and prevention of adverse effects caused by pharmaceutics. Adverse drug reactions (ADRs) are a major cause of patient related morbidity and mortality. Reporting of ADRs is considered to be an important step in maintaining and achieving a safe drug therapy use. Nowadays, Pharmacovigilance hugely emphasizes on challenges like Mass treatment regimens, Un-labelled and Off-labelled indications, Nutritional aspects, New drugs, Adherence, Co-morbidities and Drug resistances. Medication errors such as misuse, overdose, abuse of a drug and drug exposure are some of the reasons responsible for ADRs. The main objective is to generate independent, evidence-based recommendations on the safety of medicines and to monitor benefit-risk profile of different pharmaceutics. Drug design is the method of inventing innovative medications. Drug design defines the design of molecules that are corresponding in shape and charge to the bio molecular target with which they interact and therefore will bind to it. Generally, the drug is a tiny organic molecule which triggers or slows down the activity of a bio-molecule such as a protein which repeatedly results in a medicinal benefit to the patient. Discovery of drugs is challenging. Various medications are invented by chance observations, the scientific examination of other medicines or by finding out the side effects of some other drugs. A methodical technique is significant screening observations where important drug targets are tested with thousands of various compounds to observe, whether conversations occur. Basically, drug design involves design of small molecules that are harmonizing in shape and charge to the bio molecular target to which they act together and consequently will bind to it. 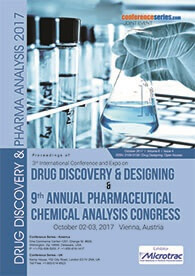 Clinical Biotherapeutic aspects including study drug design, drug-drug interactions, QT assessment, immunogenicity, comparability, special populations (hepatic and liver failure), PK and PD, regulatory expectations of PK and PD characterization, as well as reviewing factors which influence the ADME of Biotherapeutics. The objectives of early clinical development of therapeutic proteins are the same as for small molecules i.e. to investigate the molecule in a manner that will gain necessary knowledge about its tolerability safety pharmacokinetics (PK) and if possible pharmacodynamics (PD) effects in the most appropriate human populations while simultaneously protecting their safety. However, there are specific features of proteins that must be considered when designing clinical pharmacology studies. In revelation process incorporates the early periods of research, which are intended to recognize a drug and perform essential tests in the lab. This initially phase of the procedure takes around three to six years. Before the end, scientists plan to distinguish a promising medication competitor to additionally think about in the lab and in creature models, and afterward in individuals. These advances offer extraordinary guarantee, yet additionally add unpredictability to the Research and development process. With a specific end goal to guarantee the wellbeing and viability of customized treatments that are utilized close by diagnostics, clinical trial conventions must be adjusted and upgraded. This may require the utilization of extra systems and assets, and in addition new or creative types of information accumulation. In addition, by their extremely nature, the patient populace distinguished to react to focused treatments is smaller, which makes tolerant enrolment more troublesome. The global drug discovery informatics market is projected to reach USD 2.84 Billion in 2022 from USD 1.50 Billion in 2016, at CAGR of 11.2% during forecast period. The base year considered for the study is 2016, and the forecast for the market size is provided for the period between 2017 and 2022. In the current market scenario, there is a growing demand for discovery informatics solutions. The major factors driving the growth of the drug discovery informatics market include the rising R&D expenditure, the increasing focus on drug discovery, and need to control the drug discovery and development cost. 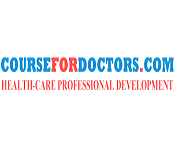 On the other hand, the scarcity of skilled professionals, and high pricing and setup cost of informatics software are the major factors restraining the growth of this market. The key players operating in the drug discovery informatics market are IBM, Infosys , Schrödinger, PerkinElmer, and Thermo Fisher Scientific . This industry report analyzes the market estimates and forecasts for all the given segments on global as well as regional levels presented in the research scope. The study focuses on market trends, leading players, supply chain trends, technological innovations, key developments, and future strategies. Singapore is a key drug market for Western pharmaceutical companies. Singapore’s pharmaceutical market is currently estimated to be about $820 million. It is expected to grow at a steady rate of 6% in 2017, compared to the 5% average growth in the Asia-Pacific region. Singapore has also emerged as one of the most integrated and advanced hubs for pharmaceutical manufacturing and research in Southeast Asia. The country’s healthcare system was ranked second in the world by the Bloomberg Healthcare Efficiency Index in 2014, only behind Hong Kong. Singapore’s pharmaceutical industry is regulated by the Health Sciences Authority (HSA) and the Health Products Act 2007, which includes all medical devices, pharmaceuticals, medicines and other supplements. The Asia Pacific drug discovery market in 2016 was worth $6224 million. The market is expected to reach $13462 million by 2024 at a CAGR of 10.1% between 2016 and 2024. Aging population rise in healthcare spending and increase in lifestyle-oriented diseases and fatalities are some of the factors driving the drug discovery market in the Asia pacific region. The drug discovery market by technology is segmented into QPCR, DNA Microarrays, Protein Microarrays, High–throughput screening, mass spectrometer, GEL Electrophoresis, Chromatograph, Protein and Nucleic Acid Isolation and other technologies. The countries analyzed in the Asia Pacific drug discovery market are India, China, Japan, Korea, Australia and rest of Asia Pacific. The entry of new companies in the market and substitute products acts as a threat to the Asia pacific drug discovery market. Discovery of new drugs being delayed due to government regulations is a big restraint. Also, the drug market is shifting from branded to generics drugs which limit the growth of the drug discovery market in this region.